I keep track of any posts on the Steem blockchain which I've found worth reading. Here's the stuff I've enjoyed over the last few days. Peto’s Paradox, or Why Elephants Do Not Get Cancer? "Since my (extremely short) vacation is over and it's time for me to get back to work again, I decided that it's a good idea to go through work material on Sunday, so I could start fulfilling new, exciting work assignments on Monday. While reading the e-mails and questioning my life choices, one…"
"Let's begin with a quick summary of events so far: 1803, a ghost is haunting the graveyards and lanes of Hammersmith, London. Eyewitnesses that didn't die of fright all described the spectre as being tall and white. Two lives had already been lost, one of a pregnant young lady and one of an old…"
"Introduction Hold up people! 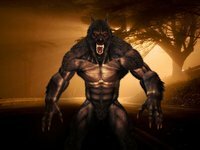 It’s a picture of a werewolf which is obviously fictitious; sufferers of this syndrome DO NOT look like this :) I had written about the vampire syndrome, the walking corpse syndrome which I call the Zombie syndrome but…"
"The NES is without a doubt one of the most important game consoles of all time. Through clever marketing, Nintendo was able to convince retailers who had just cleared out their stores of video games to take a chance on a new game console. The rest is history. 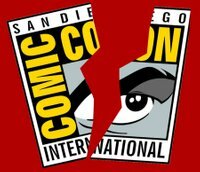 The console has an iconic look, both in…"
"My good friend Ron O is my main man on the street for events in So Cal and since I was unable to attend this years San Diego Comic Con for the first time in 16 years, Ron was kind enough to let me live vicariously through him. 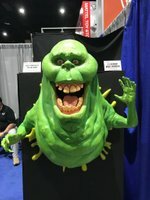 He took some great cosplay shots that I showed off last week. This week…"
"Todos llevamos un niño en nuestro interior, mi hermano menor también, porque aunque sea un gigante, tiene un corazón soñador, noble y rojo como las frambuesas de la tienda. El día de ayer se graduó de la facultad de medicina, un momento importante para él y para nosotros, su familia. Él se siente…"
"Running a tabletop roleplaying game is demanding. It requires time and effort, and it's something that often has a lot of associated costs that are easy to overlook. Just pick up your game of choice and see how many pages of rules it has–even a relatively "light" game makes a lot of demands on a…"
"Hey guys it's my birthday today and I think I'm going to be spending it with my loving fiance and our mutual families. 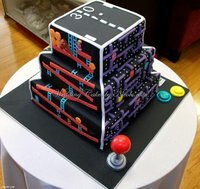 I'll squeeze in a Mario Kart 64 tournament in there someone. Hope you're all having wonderful days out there in Steem land! "Following my series on beginning roleplaying, I want to go into more detail about what you might want if you're a novice or first-time Game Master of a tabletop roleplaying games. I've generally gotten good feedback when I run a game, but I have a few notable deficiencies in my style. 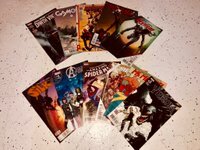 I have a bad…"
"This was just a bit of a combination of a lot of things I genuinely adore: Archie Comics, Vampirella, Red Sonja, and Kevin Smith." 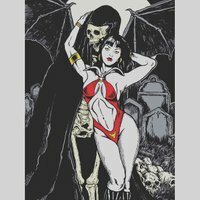 "The latest in my Death and the Maiden series"
"I still remember my first time attending San Diego Comic Con. It was 2003 and I was living in Los Angeles...well, Canyon Country but the greater L.A. area. It was my buddy Ron, my ex-wife Devin, and myself. I had always wanted to go but being young, broke, from New Jersey made that a difficult feat.…"
Trial by Comics winners for "Zombies" and new theme announced! "Good evening, Steemit! I’m back in Minnesota and it’s time to sort out the survivors of Trail by Comics! This week’s theme was “Character Design”. Steemit artists were challenged to come up with their own characters, develop stories, backgrounds, histories, etc. As a creator myself with several…"
"How would you like to collect data about your life on Steemit? 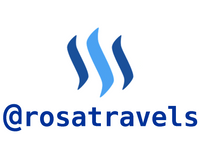 Today I came across a site called: Steemstory.com This site gives you live data of your activities on Steemit: it tells you how many registered Steemit users there are and where you rank where you come in @rosatravels is registered as…"
"There are lots of little things you can do to optimize and maximize your returns here on Steemit. Earlier this month I wrote a piece describing nine simple tips and suggestions for people looking to play the long game and build gradually. 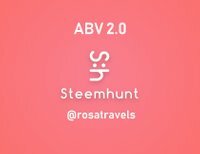 If you're unfamiliar with @minnowsmith or…"
"The Steemhunt platform is an awesome site where Steemhunters enthusiasts come in here to share the latest mobile apps, websites, tech creations, hardware gadgets, open source projests and all things trendy that are worthy to…"
Are we witnessing the SteemAuto blues? "Many may have noticed that SteemAuto is not working properly right now. I’m sure @mahdiyari is trying to fix this problem but I have noticed a distinct lack of new material since it happened. Source Earlier today I sent someone a couple of 100% votes as I was in danger of becoming 100% VP, this…"
Who Wants Some Comic Books?!? "Seeing @skullangs most recent post here inspired me a bit. She was looking to get into comics and give it a shot but didn’t really know how until recently. It got me thinking... You can check her post out here and show her some upvote love.…"
Supporting Small Business Owned By Fellow Steemians - Paying With STEEM & SBD! "Oh it is very true! As my new coffee mug states I am very easily distracted by crochet patterns. I’ll log onto Pinterest for dinner recipe ideas and find myself purposely accidentally pinning crochet recipes lol!! 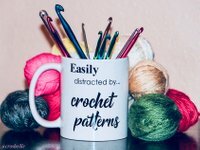 It’s the story of my life because crocheting is a big part of it. 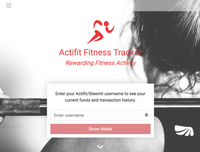 Last month @vliet…"
"actifit.io We are pleased to announce that we asked to be a part of the "Charity" category on the Actifit application and were told that we would be included. This means that anyone who is wanting to help support the Manna Project can do so by downloading the Actifit app from Google Play and using…"
"When I first started working with felt, magnets were my favorites and they probably still are. There is something special about that material that makes it easy to handle and since it comes in many colors and is easy to cut and sew, there is almost nothing you can not make out of it. Felt that I am…"
"Where turquoise meets white and skies turn pink. Where chaos meets calm and time stands still. 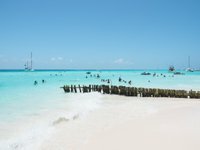 We said goodbye to Tulum one week ago. I felt nervous as we boarded the local bus to Cancun and I couldn't figure out why. I guess heading to another unknown destination for a month had me feeling uneasy.…"
"My morning has been already hectic as it is and I hope I can still make it on the train going to Bangkok, Thailand from the Thanaleng Border this afternoon. The morning though was filled with a very pleasant visit to the golden temple Pha That Luang and the Wat Sisaket Temple. A trip to the Xieng…"
"Good Evening Steemians!! After yesterday's walk of 20 km, I assumed I would wake up sore but oddly enough it actually wasn't that bad...Maybe I still have my climbing muscles! As a child until I moved to Alberta 12 years ago, I grew up in Canada's other mountain range and we lived pretty much on top…"
"Hi there, my friends, Finally, my first entry ever to the wonderful contest by @runicar, the Steemit World Map Challenge #26 edition! This contest with the tag #swmchallenge brings up to light the most unique and special places or events worth visiting or putting on our travel bucket list. As a…"
So, what's all this then? My goals here are to foster interaction on steem and provide visibility for good content. This is basically a UI issue; I've noted in my feed that some great accounts which resteem dozens of times a day tend to drown out other posts. Until there's a way to separate author-content from resteems in there general steem-verse (i.e. on Steemit), I don't like resteeming much. If you're a prolific author, I might only list one post in full format, then mention others. If I post your stuff a lot, I may leave you out from time to time to make room for others. If time allows, I may provide commentary on posts, but right now I'm letting them stand on their own merits. Artists! I'm trying to post your art in such a way that people can see enough of it to know if they want to follow the link. I definitely don't want to just repost your stuff in full resolution. Let me know what makes you happy. I enjoyed compiling this list and you can do it, too. Even if your vote counts for nothing and you have 3 whole followers, start keeping track of what you actually liked reading and let the world know about it. I don't think there's a relevant tag yet, so let's go ahead and use #readinglog. If there is a better tag out there, let me know. Remember, a community without interactions is just a bunch of people. Comment, vote, promote, even resteem! Logo modified from CC0 material on Pixabay by OpenClipart-Vectors, and released under the same. Preview images are from the referenced posts and source information should be contained therein. Preview text is directly quoted from post and the property of that post's author(s). Congratulations @blewitt and @nolasco, the random number generator has smiled upon both of you, picking your posts from those who were featured today and telling me to sponsor your both for a share in @steembasicincome. The transfer should go active within a few days. Wow!! Thx a ton! I gotta check how many shares I have now! I feel like I have a decent chunk as I’ve boufht a bunch for others, won a bunch, and had some bought for me but I feel like my upvote hasn’t really moved at all on their end in quite some time. Gotta peep it out. Either way, than a ton!! There's two things that could be going on. First, the upvote is adjusted based on posting frequency to keep your weekly total reward fairly constant, and you've been a bit more prolific lately. Second, I know that the powers that be were on vacation recently, have had a new kid, and have only recently started automating enrollment; so there can be a pretty hefty delay until the shares go active. And, as always, don't thank me, thank the RNG. Word! Yeah Im not worried about it but I do want to check soon and see if the numbers add up. Thinking I should be a bit higher but I’ll check. Thanks a lot, @effofex, wow, this is what I call good news! I'm a lucky girl indeed! Congrats, @blewitt! Once again... your #readinglog has a variety to it! I love how you take the time to do so. Thank you so much for the feature! Thanks so much for featuring my post, @effofex! That's a true honor, great posts, congrats to all that got featured too! That's true, we are more than a bunch of people, we are a community! Cheers to all! Resteemed! Thanks for doing this! I'm going to start doing a reading log too. Not sure how I didn't think of that before. Recognition from people who have appreciated our work is one of the major things keeping us on Steemit. It's not the money, it's the meaning, and in my few months here I've found that people are very quick to communicate and have deeper communications on Steemit and other places than they are elsewhere on the internet.